Ndao Hanavao (Let’s Innovate) is a local initiative launched in 2018 by Rubis Mécénat cultural fund in association with Vitogaz Madagascar in Antananarivo, Madagascar. Ndao Hanavao, an innovation and creation laboratory set up by guest designers and young vocational trainees with artisans, en­gineers and local stakeholders, strives to find viable long-term solutions focused on object design to the social problems facing the population in Madagascar living in insecurity (issues with water, lighting, energy, the environment, waste, etc.). For its first edition, Ndao Hanavao invited the Polyfloss Factory, rep­resented by French designers Christophe Machet and Émile de Visscher, to establish and develop their Polyfloss machine concept in Antananarivo, in order to set up an ongoing incubation, experimentation and training laboratory aimed at the transformation of plastic waste, a major local issue. Ndao Hanavao was developed with Benjamin Loyauté, project curator. It is led locally by Carine Ratovonarivo, designer and project coordinator and Camille de Roffignac, project manager. 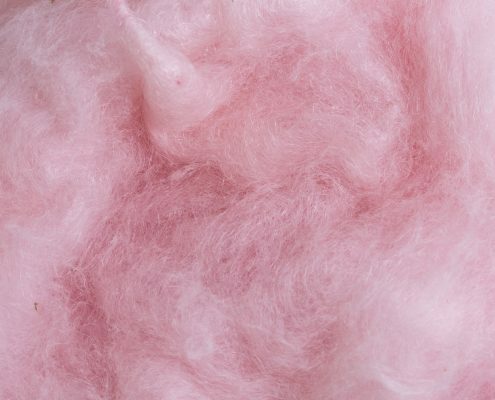 The Polyfloss Factory is an innovative plastic recycling process which draws its inspiration from candyfloss. It produces a flexible wool which can be used in different ways as a ther­mal insulator, as packaging, for decorative items, and also for textile/artisan purposes, moulding, as well as creating designer products and staple items. The Ndao Hanavao laboratory hosts ten young Malagasy trainees in order to accompany them in the development of collaborative and commercial initiatives with local craftspeople with the Polyfloss wool. 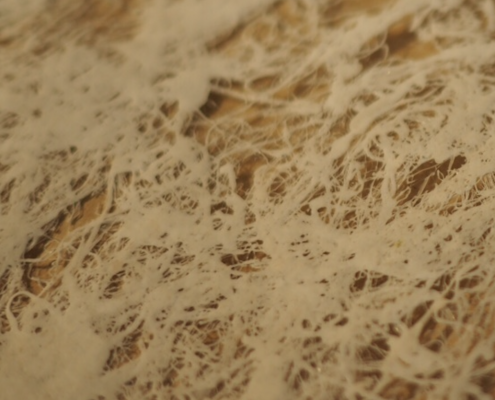 In addition, the project invites artists and designers interested in experimenting with the Polyfloss wool produced in the laboratory. Within the context of its support to contemporary art, Rubis Mécénat cultural fund aims to develop lasting social art initiatives with the Group’s subsidiaries as a way of getting involved in the local communities and positioning itself as a social and cultural player in addition to the economic role the company plays within the countries. Three socio-cultural projects exist today: the photography project Of Soul and Joy in South Africa (since 2012), the art project InPulse in Jamaica (since 2015) and the social design project Ndao Hanavao, an innovation and creation laboratory for social design in Madagascar (since 2018). These educational programmes function as creative platforms at the heart of local com­munities by offering to secondary school students as well as to out-of-school youth workshops led by recognised artists and general educational support classes so that they can acquire academic and artistic skills. Rubis Mécénat’s commitment creates strong links of solidarity and trust. By going as close as possible towards those that are the furthest away from contemporary art, Rubis Mécénat reaffirms its belief in its educational and societal virtues. It does not only reach out to students, it also encourages the local community to enter into an active discourse around the visual arts. Ndao Hanavao, which was launched by Rubis Mécénat cultural fund, is a project tailored to issues associated with the island of Madagascar. Madagascar is one of the world’s poorest countries. Over 1.5 million children are not in education, or left school after the first three years. In order to mitigate inequality, a number of third sector associations and NGOs are working to get them back into the classroom or into employment. The Rubis Group, and its subsidiaries Vitogaz Madagascar and Galana, are already working in the country, supporting the Graines de Bitume association in Antananarivo and the Toamasina primary school in Tamatave. 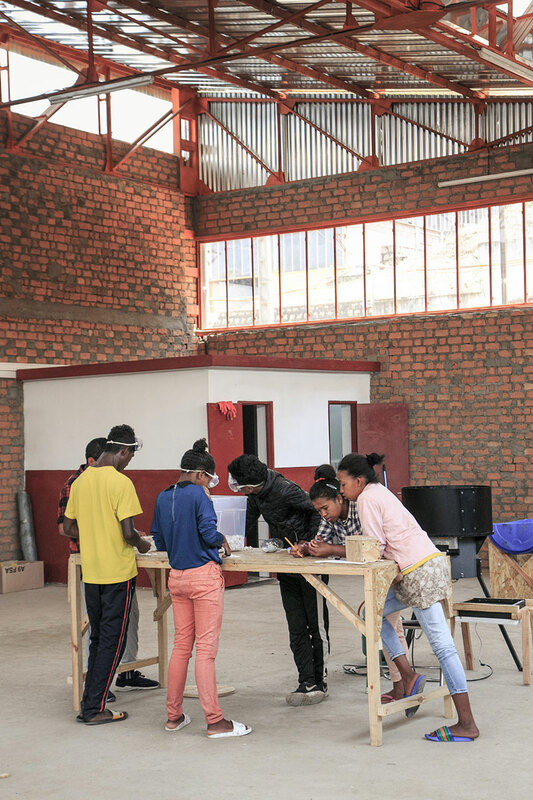 In order to provide more active support, Rubis Mécénat cultural fund decided in 2018, along with Vitogaz Madagascar, to set up a social design training programme for young Malagasy adults seeking to enter the job market. The Ndao Hanavao laboratory, a training, experimentation and development space, has set itself the initial aim of finding viable solutions for plastic waste treatment, while also helping young people to set up their own commercial ventures and to work with a flourishing local artisan scene. Confronted by exponential growth in the object design market and dwindling global resources, a rising number of designers are exploring increasingly specialist activities. These designers are addressing environmental, political, social and humanitarian issues in order to offer a practical response to contemporary problems. They are tackling change in a globalised world by inventing new types of progress and designing forward-looking and tailored solutions to environmental challenges in particular. This process had no formal definition for some time, but has now been dubbed “social design”.